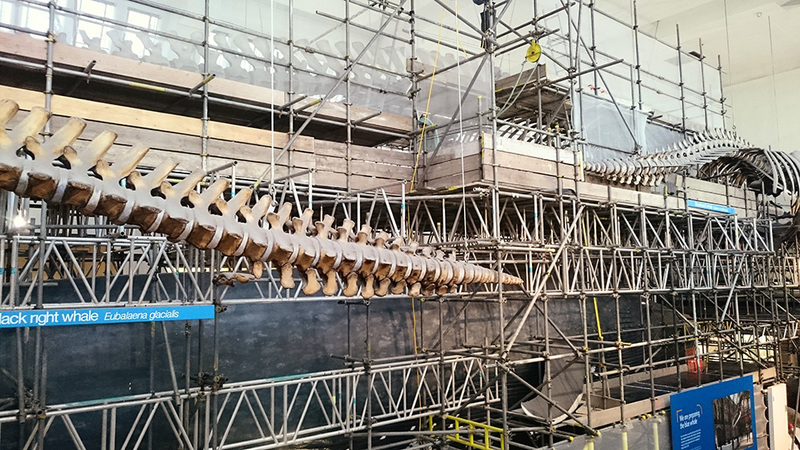 This project require a gentle touch, to enable the Blue Whale Skeleton to be removed for renovation after being hung in the mammal hall since 1938. The Mammal Hall within the museum was to be kept open during this work so careful planning was require to set out the bridged gantry around the other exhibits whilst giving all round access to enable specialist to carefully dismantle and catalog the 356 bones in the skeleton. The biggest challenge was to remove and lower down the skull which weighed around 2 tonnes. 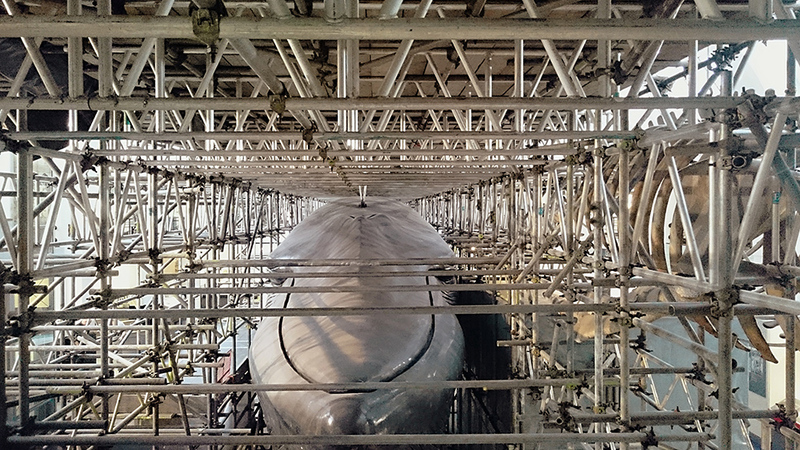 This had to be lowered down in its current position into a purpose cradle, packaged and then moved along the gantry to the purpose designed lifting structure enabling the skull to be removed from the building. 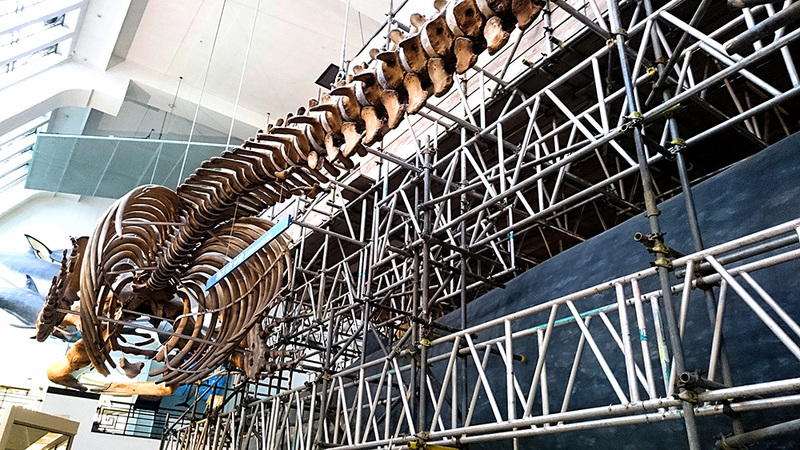 The Blue Whale is to return to the Museum and be rehung in pride of place in the Hintz Hall so everyone can be impressed by its enormity as you enter the museum taking the place of “Dippy” the Diplodocus. We are hoping to return to the museum then to provide our expertise again. 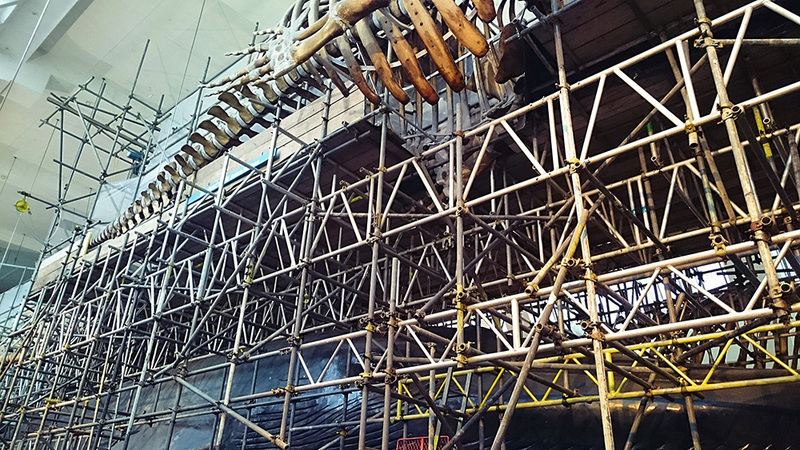 This was to provide a scaffold gantry and lifting beams to enable the famous Blue Whale Skeleton to be removed from the Natural History Museum for Renovation.